The Dukes Retreat is one of the best luxury resorts in Lonavala and is the ideal venue to host weddings. The wedding planning process can be complex and awe-inspiring with a wide assortment of information available. Indian weddings are full of lively colours and emotions. This is the most vibrant and auspicious occasion in Indian families consisting a number of beautiful rituals. We, at The Dukes Retreat help you with absolute wedding planning services, decorations, themes, photography, budget and a whole gamut of services to make your big day special and unforgettable. Our professional team helps you to decide and create the theme that you have always envisioned for your wedding with a personal touch. 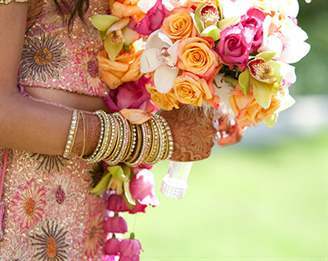 From the smallest ceremony to the big day, we ensure that we make perfect arrangements to make your day extra special. With Dukes' new 6000 square feet conference centre set on the edge of a 500 foot cliff, there isn't a more idyllic yet practical venue for a wedding. We assist the couple and family with the creation of the wedding budget along with the entire management. We help create a wedding timeline and planner with detailed itineraries and checklists. We work with a panel of established vendors, discuss event requirements, manage and coordinate all the necessary decision-making and execution for you, with you and on your behalf. We consult and coordinate for a customised menu selection and tasting. After getting a thorough understanding of the couple’s and family’s vision, we help you to decide the themes and coordinate with the vendors for floral arrangements, mandap and lighting. We arrange wedding DJs, live music, artists and performers. Last but not the least, we also assist in arrangements for photography and video.